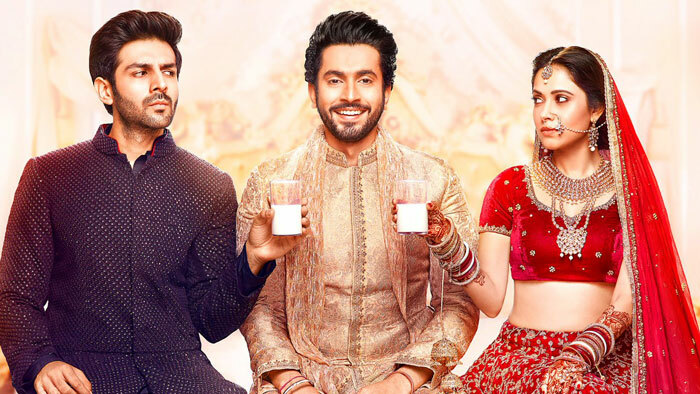 Once in a while there comes a film that rocks your socks off with its uniqueness and comic timing, well that was Pyaar Ka Panchnama and Sonu Ke Titu Ki Sweety is its mere extension. 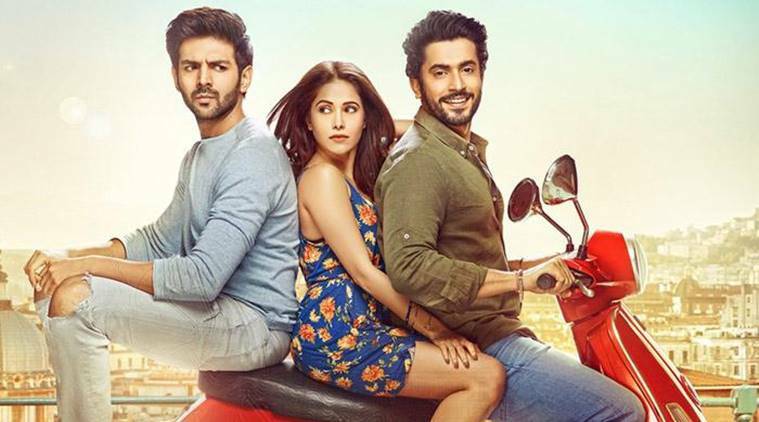 The romantic comedy Sonu Ke Titu Ki Sweety is helmed by Luv Ranjan and to no surprise stars Kartik Aaryan, Sunny Singh and Nushrat Bharucha in the lead roles. The film engrosses you from the first scene as Luv Ranjan shows his expertise of transporting you to his anti-women world. The screenplay and the actors make sure your smile is stuck to your face; which transcends into a large laugh more often than not. A light-hearted comedy that posses a good choice if you are just looking for some fun. Sonu (Kartik Aaryan) and Titu (Sunny Singh) are childhood friends with Sonu as the captain of the ship. He takes it upon himself to protect Titu from his astute romantic partners. Sweety Sharma (Nushrat Bharucha), the goody two shoes grabs the fancy of Titu and his family. She soon wins the heart of everyone except Sonu, Grandfather (Alok Nath) and his friend (Virendra Saxena); who smells something fishy in her perfectionism. Before long, the real vixen side of Sweety is revealed to Titu. But with no proof against her, a war between Bromance and Romance ensue some rib-tickling incidences. While the duo wins some and loses some, but the result of the last war depends on Titu’s decision. Who would he choose the Friend he had his whole life or the Love of his life? The tongue in the cheek comedy, give way for some new memes for the season. Kartik Aaryan aka Sonu is sticking to his monologue ways of the past and becomes the chief entertaining component of the film. The slightly intense climax shows us the other side of both the actors and the filmmaker; the slight melodrama gives the film some much-needed depth. Sunny plays a puppet whose string is either with Sonu or Sweety. He looks dumb throughout the film, giving the battleground to the other two. Kartik swags through the cunningness of his character with his usual jovial charm. Nushrat has been portrayed as a sly character in earlier films, but this one has her declaring herself as the vixen. She manages to switch between the cunning and the sweet persona quite convincingly. Kudos to her, for standing tall in the altercation scenes between her and Aaryan’s character. Bring back the Alok Nath jokes as the seasoned actor quite effortlessly tarnishes his “sanskari” image. His portrayal of cheeky retired Grand Father who enjoys a swig or two is effortless; owning the space as much as the younger lot. Another seasoned actor Virendra Saxena is cute as a button in his portrayal of Nath’s friend and ally. All in all the film has a familiarity due to its similarities with Pyar ka Panchnama series and a great family entertainer (if you ignore a number of beeps). The freshness is definitely missing from the essence of the film. On a peripheral level, you won’t be able to segregate between the three films by the team. Neither the story nor any member of the repeated team including the director has stepped out of their comfort zone. While Nushrat, did a great job but her character was the weakest link in the film. You just know she is cunning, but why and what are her real intentions are not clarified until the end. We kept waiting for some depth to her character but not surprisingly Ranjan kept the women protagonist as shallow as ever. The crispness is lost somewhere in the middle and you feel the film dragging at point or two. The story, screenplay and even the cinematography is just at par, you would expect them to be a perfectionist if they want to do the same thing three times over. The movie is a must watch if you like some light-hearted jokes, punches, and women bashing. If you are looking for a blockbuster this isn’t the one, but if you like some good-natured bromance this film is for you. Songs are the heart of this movie. The movie is a must watch if you like some light-hearted jokes, punches, and women bashing. Deepika Padukone & Ranbir Kapoor Doing Tamasha Together ?